Nicola Adams, a boxer and freshly-minted Olympic gold medalist, is currently facing Britain's media answering countless questions about her preparation, training, state of mind, reaction to winning, blah blah blah. I found one of her answers a little more interesting than the rest, though. Speaking with The Independent, Adams says that the night before her Olympic semi-final, she sat down in the athlete's village in front of her PS3. "I go on the internet and then play Call of Duty and The Walking Dead on the PlayStation", she says. "Anything that takes my mind completely off boxing." Call of Duty, that's understandable, last time I checked it was a somewhat popular series of video games. But Walking Dead? On the PlayStation? That can only be Telltale's brilliant adventure series, which if you're after something to take your mind off something else, is just about the best game on the planet. Guess it did the trick, too. 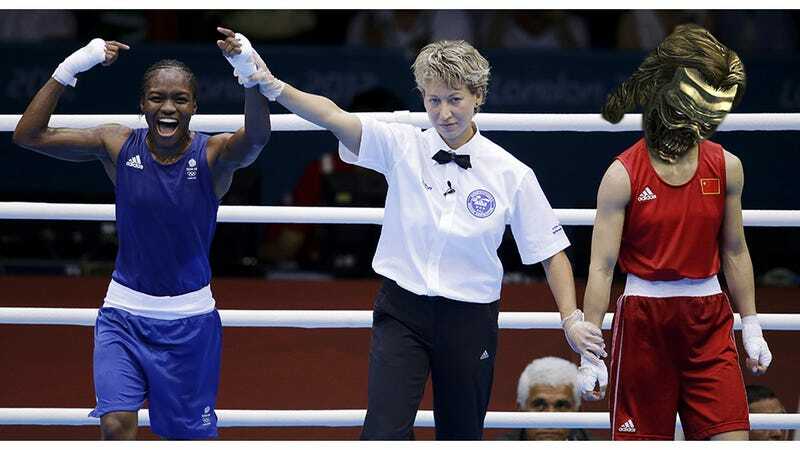 The next day she wiped the floor with a five-time world champion, and a day later she won again to take the gold.